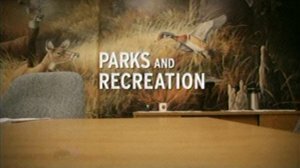 Parks and Recreation (known as Public Service during development) is a workplace comedy created by The Office's executive producers Greg Daniels and Michael Schur that aired on NBC. Like The Office, it has a similar mockumentary format but otherwise will have no connection, despite initially being considered a spin-off. Writers include Tucker Cawley, Dan Goor and Alan Yang. The series follows Leslie Knope, the Deputy Director of the Parks and Rec department in Pawnee, Indiana. Knope takes on a project from a nurse named Ann to turn a construction pit into a park, while trying to mentor April, a bored college-aged intern. The series was formerly tentatively titled as Public Service. On January 19, 2014, NBC entertainment chairman Bob Greenblatt announced a seventh season renewal during NBC's presentation at the TCAs. This page was last modified on 10 January 2017, at 08:07.